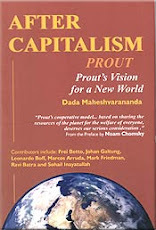 Prout - Alternative economic model for Capitalism and Communism: Revolutionary times? The world is on the brink economical collapse - which will anyhow turn eventually for the best. Besides there are false flag events, calamities, “revolutions” going on and more expected. This and coming months might be crucial. Parishrama means well directed effort. Success without parishrama in any activity is impossibility. Parishrama is also needed in revolution. 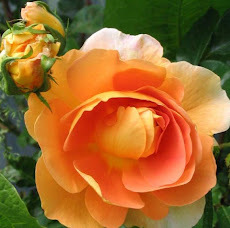 Violent action, struggle and practical effort are essence of life. Social change: Natural change; evolution. Revolution is change with applying tremendous force. Rational parishrama for change: Neohumanistic, Proutistic. Suppression – forever. Modest force – slow, the revolutionaries will die before achieving results. strong>Fast violence can only bring revolutionary change. Sudden or severe force needed to accelerate the social cycle. Radical change; individual, social and collective psychology. Varnas; colors of the mind, psychological clashes. Social cycle; one varna dominate at time. Shudra (manual), Ksattiya (martial), Vipra (intellectual), vaeshya (capitalist). Capitalism is in its final stage of degeneration. Moving very rapidly towards revolution. Many people have wrong concept of revolution; they think it is only physical, or organized in the face book. The duty of sadvipras, moral and spiritual leaders, is to accelerate the social cycle when one class era is becoming corrupt. Palatial and Pyramidical change. Palatial the top level changes (leaders) not the grass root level. (Coup, Egypt got military leadership). Pyramidical means lower and higher level changes, but not the middle class. (Venezuela?). Proutist nuclear revolution: The entire society changes. Total transformation, cultural and spiritual too. Only sadvipras can bring it. They mobilize intellectuals, middle class and grass root and do it rapidly with minimum loss of life and property. Systematic, well planned, their every action is beneficial for the entire society. Sadvipras also lead after revolution. Che Guevara and Fidel Castro succeeded in Cuba with some short of revolution, while it was planned properly, but Che Guevara didn’t succeed in Bolivia, where it was done without plan. Nuclear revolution requirements besides of exploitation in society: Robust organization, progressive philosophy, reliable cadre, positive sentiment. Present exploitation; Big business, capitalists, imperialism, handful exploiters, physical, mental, cultural, legal exploitation, social insecurity. It is war, if applied on behalf of people, in Libya there is no revolutionary organization. Progressive ideology; invisible weapon, to counteract negative ideas. Collective psychology is powerful invisible weapon for creating positive flow and to counteract negative influence. Positive mind finds better solutions, free from dogmas. Marxism was impractical, unpsychological – couldn’t, be implemented - as shudra has no interest for reaching or working by its own. Jesus and Gandhi are not good examples of revolution. In Russia, Cuba and China communism was not properly implemented. Cuba has admitted its problems. China has turned into capitalist country, lots of millionaires. Hong Kong made China capitalist! Reliable cadre; Educated, inspired and united. If the grass root doesn’t respond, revolution can not happen. Ideological cadre to change the negativity into action. Marxism used negativity to get results. Prout; Proper leadership of sadvipras; service and fighting spirit, loving, wise, trusted, growing spiritually along revolution. Moral and spiritual revolutionaries win the physical force. Strategy against external and internal evil forces. Infiltrators try to disturb their effort, also the individual greed. Common base amongst exploited, sentimentlized (if can’t intellectually convince). Sentiments; negative divides and narrows interest. Positive unites. Hitler used racism…short success, led to destruction. Not to use hatred, but to unite intellectuals and grass root and benevolent leaders. Needed strict laws and human approach to overcome corruption and violence. Democracy: People think nothing can be better than democracy. But that can’t stop corruption. There are laws, but laws are not respected. Murdoch newsempire abusing power (with the help of police and government officials). While Norway attack happened (? ), the corruption case went out of attention. Identifying society. Identity of samaj (society) state: Norvegian, Finns can’t do revolution alone, globally has to be done at once. We can’t avoid right wing reactions, if understanding of cosmic ownership does not exist. Two forces, two main organizations: 1. Samaj sentiment; boycotts, activism. 2. Vahini, militia, socio-political overt – covert fight. Each act independently, which force dominates depends on society. India, Philippines needs mainly militia approach. Samaj sentiment needed only 25 %. Ireland same as parties use violence. Ksatriya leadership. In highly educated countries samaj is needed more; half intellectual, half militia approach. Intellectual revolution: 1. Study circles, 2. “Propaganda” for uniting, 3. Sadvipras. Physical revolution: Organizing cadres, fighting corruption, overthrowing government, fighting to strengthen the new government. EU people not ready for revolution. If the economy now collapses, then may be. Does it need to be sadvipra or Proutist in order to start revolution? No, but Proutist ideas and spiritual approach can guarantee the success and lessen the suffering of masses. The privileged classes invariably think of their own comforts. They infuse the poorer sections of society with inferiority complexes in order to exploit them, and then force them to become their obedient servants. But eventually the poor people revolt against such exploitation, even if it takes one, two, three or more generations. People will always revolt against those things that go against human psychology. When oppression crosses the limits of human tolerance and endurance, revolution is inevitable. It is far too easy to talk big about revolution. Such gasconades – such tall talks – may easily strike the listeners with wonder and may also draw applause from them, but to bring about a real revolution is not at all easy. The pioneers of a revolution will have to learn discipline, take proper training for the revolution, build their character, be moralists – in a word, they will have to be what I call the sadvipras. Everything should be done with proper direction, proper guidance. As for instance, people utter loudly the word revolution, revolution, but revolution does not mean putting buses and trains on fire or removing the railway lines. This causes damage to government and government is people’s. Therefore it is damage to the people themselves. All these are destructive approaches. The persons who do such destructive approaches lack in knowledge. Just like that, in Sadhana if some hodge-podge is made, it means the lack of knowledge. Because of this, both the individual and the society are harmed. The theories of Marx and Gandhi are examples of defective philosophies. The fundamental principles of Marxism are unpsychological, irrational and anti-human. Marxists say that revolution is the only solution to capitalist exploitation. This is a positive idea. But the concepts of dialectical materialism, the materialist conception of history, the withering away of the state, proletariat dictatorship, classless society, etc., are defective ideas which can never be implemented. That is why the post-revolutionary stage in every communist country has suffered from turmoil and oppression. There is not a single country in the world which is established according to Marxist ideals. Hindu and Muslim leaders …wanted liberty keeping capitalism (social, economic, psychological, etc.) alive. For this reason they accepted the political independence of divided India. There are two more reasons why they did not want economic independence. One of these reasons was that those who were leaders in the struggle for political independence might not prove to be suitable leaders in the struggle for economic independence. Especially, the struggle for economic independence might lead to mass revolution and bloodshed at any time. And there was every possibility of young leaders appearing among the revolutionaries. The leaders did not want this. They tried to check the sanguinary revolution by preaching the theory of non-violence. What has happened in the country …is the result of what Mahatma Gandhi did. At that time he should have said that we can neither split the country nor disintegrate it. As a result of the communal award, the country was trifurcated into Pakistan, India and Bangladesh. This was the result of the blunder of Mahatma Gandhi, and he did it under the pressure of his party leaders. They wanted to become ministers, as there was scope in the government of India at that time for wresting provincial autonomy, attaining ministership, creating two new provinces – Orissa and Sind – and separating Ceylon and Burma from India. No revolutionary organization can accept Gandhism as an ideal philosophy. If any organization does, then it will no longer be a revolutionary organization, and it will break apart within a short time. This is an historical inevitability. Thus, the revolutionary organization must adopt a positive philosophy which is without defects. Revolution always takes place around a sentiment. If there is no strong common sentiment, a revolution cannot take place. Sentiment is always stronger than logic. PROUT is based on a universal sentiment which is applicable for the whole cosmological order, and it is systematically moving towards the implementation of this sentiment. Who will make the local people conscious of their local sentiments keeping universalism in mind? Only PROUT can do this. Communists have no such idea. Only PROUT can tackle all local sentiments and lead everyone in the world to universalism by gradual stages.